Do you have a workout buddy? A friend or family member who joins you in your workout? Our other dog, Zeke, couldn’t care less. 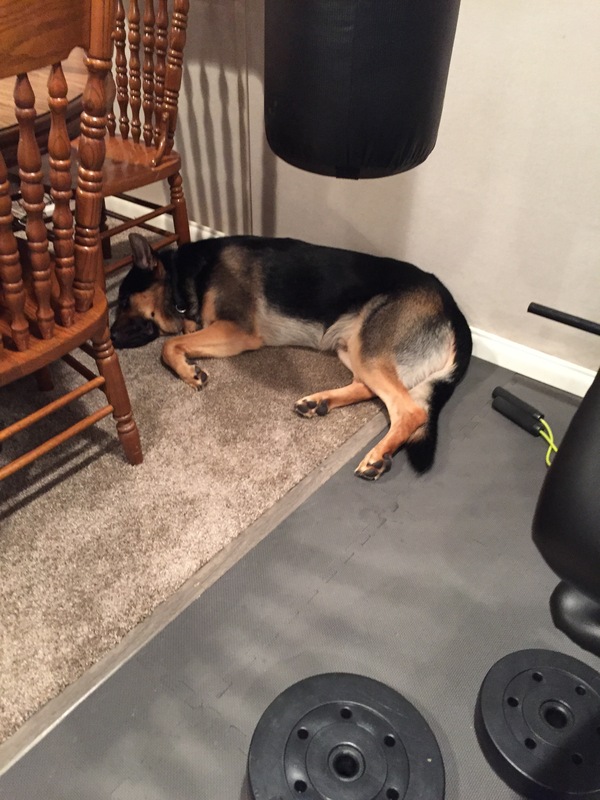 He rarely comes downstairs during workout time. I’ve been following the Fall Firm Up Trainers Challenge with Get Healthy U TV. Following a calendar helps keep me more consistent and forces me to choose more challenging workouts. 3 more days and I will have this calendar complete! Chris Freytag and the GHUTV Squad are amazing! If you want to workout from home, have a huge variety of workouts at your disposal, and a squad of motivating and supporting people, then GHUTV is for you! I love it! Did you get your workout in today? Who is your workout buddy?